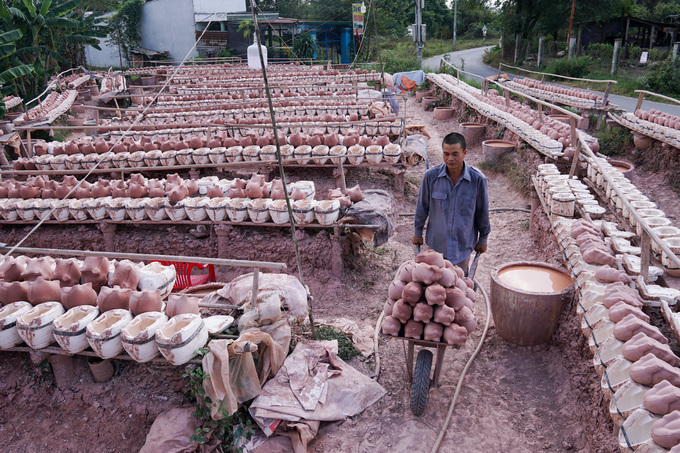 Pottery mills in Tan Vinh Hiep Commune, Tan Uyen Town, Binh Duong Province, do not have much time to rest these days. 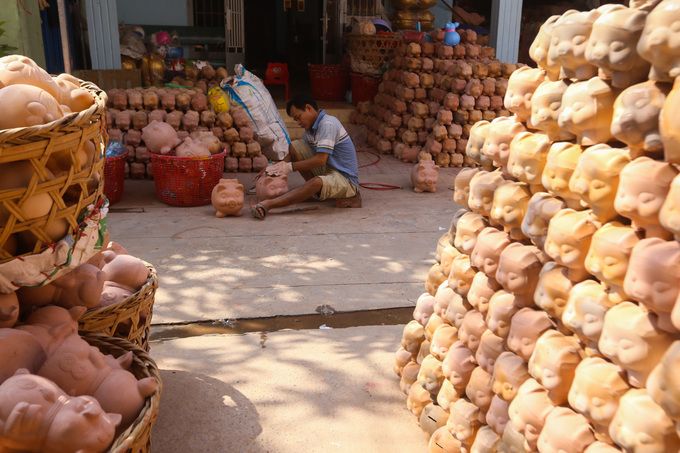 They have to supply thousands of colorful terracotta piggybanks to the market. 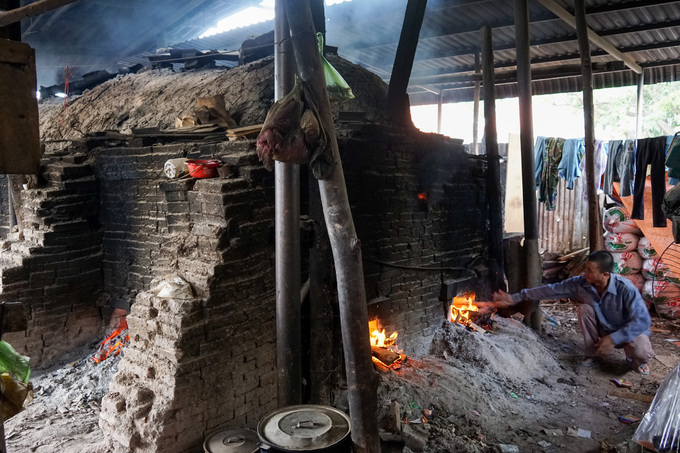 It is almost noon, but Nguyen Thi Hanh, 49, does not take a lunch break but is pouring clay into the pig’s shape molds in an area of 1,000 square meters. “For years, this commune has had the tradition of making piggy banks. This year is easier than the previous ones because we don’t have to buy chicken and dog molds according to the lunar year,” said the owner of the pottery workshop. 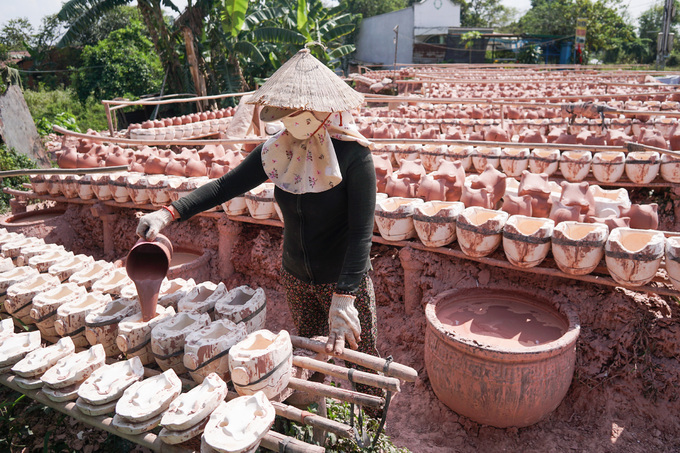 In the past, people used to take the clay in the local area to make pottery but now they import it from Ben Cat District, Binh Duong Province. “The quality of clay here is excellent, tenacious and smooth, which is very suitable for making ceramic pigs. When there is a lot of sunlight, it only takes one hour for the clay to dry in the mold to create raw products” said Hanh. 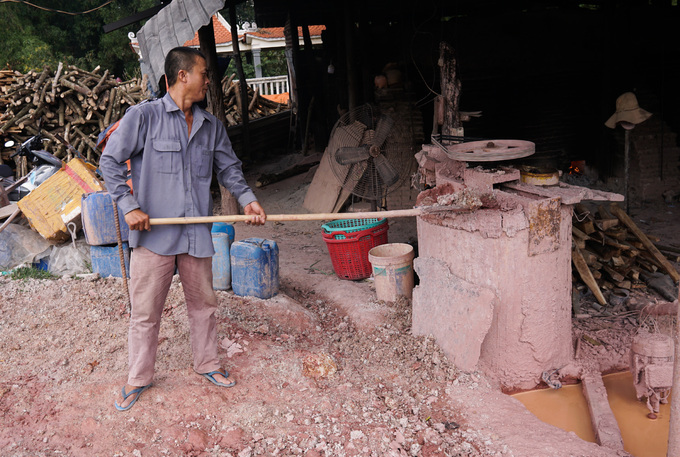 Dong Minh Tan shoveled clay into the beating machine. The clay will be mixed with water, added with glue and beaten until smooth before it can be used. 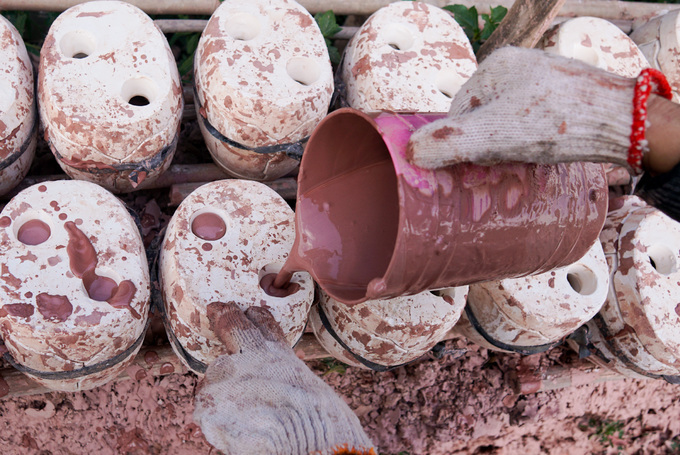 His workshop uses up 2 cubic meters of clay per day. “Even with the holiday coming, my family mill could only produce 2,000 ceramic pigs per day because we only have that many molds. However, thanks to the dry season, the mill is working with full capacity, compensating for the rainy months,” said Tan. After being dried, the pigs will be put into the oven for 10 hours. “This job requires some hard work. You need to be able to spend all day in the sun and stand next to the hot oven. In compensation, the income is quite stable, every year after deducting the cost of production, I make the profit of about VND300 million ($12.94),” said Tan. The raw products will be transported to workshops in Thuan An Town, Binh Duong, for decoration. 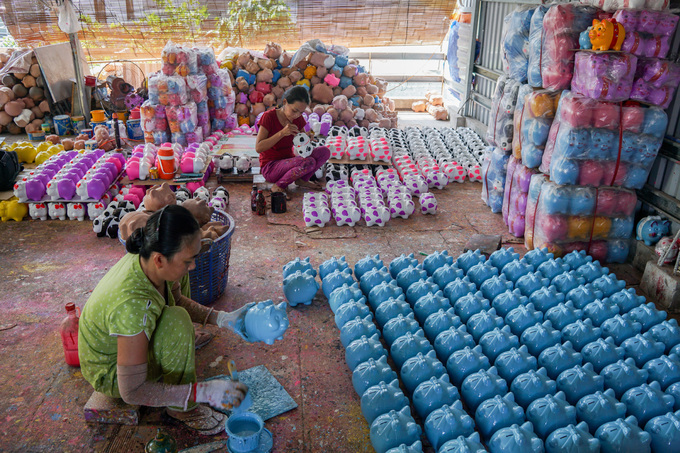 At the workshop of Tam in Lai Thieu Ward, about 2,000 products are imported every day. Before painting, the workers will use sandpaper to polish the pigs. 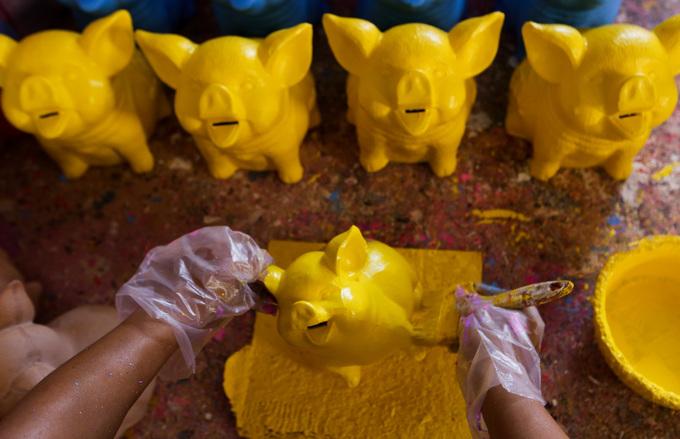 Yen Trinh swept the yellow paint over each pig. The commonly used paints are solid paints because of their good adhesion and short time to dry. A worker can paint about 500 – 700 piggy banks per day. 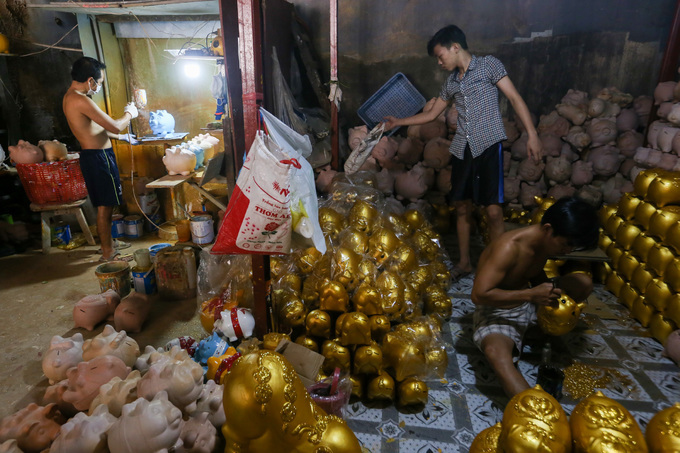 “During the Lunar New Year Tet holiday, workers will also work in the evening so as to make enough products to serve the market,” Trinh said. 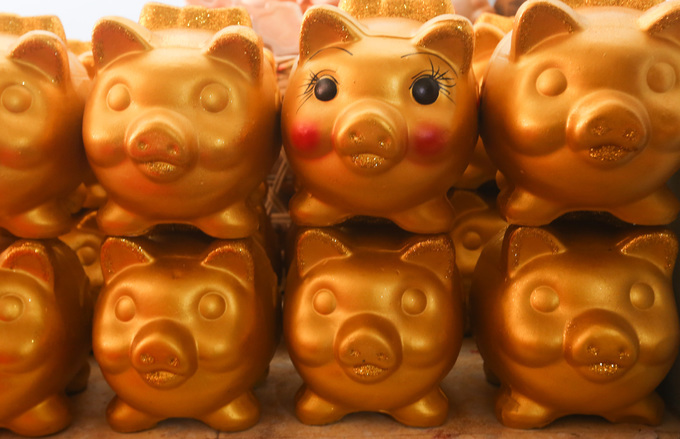 “This year, golden pigs are the main products. The backs of pigs are often decorated with patterns and letters symbolizing a bright and lucky year,” Tam said. The task of drawing the pigs’ eyes is often assigned to experienced workers. “The eyes decide the appeal of the pigs. We have to draw so that the pigs have cheerful and cute faces, creating a feeling of abundance in the new year,” Minh said. The pigs have a wholesale price ranging from a few thousand to hundreds of thousands of Vietnamese dong depending on the shape. 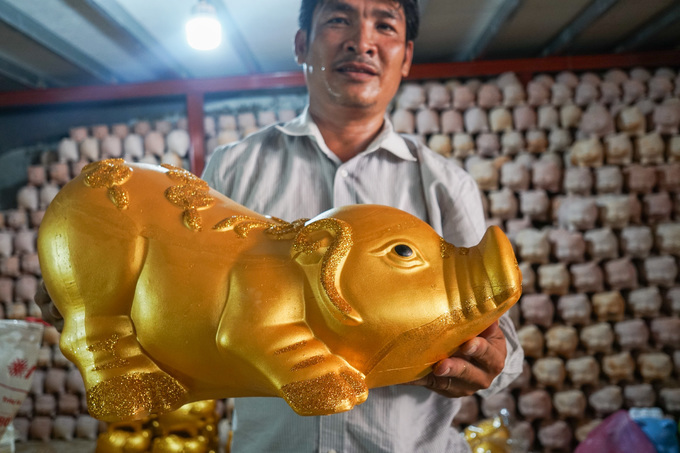 According to the workshop owners at Lai Thieu Ward, pigs in large sizes, with the word of talent and fortune written on the back, sold at the wholesale price of VND250,000 ($10.78), are the most highly demanded products. Besides golden pigs, the workshops also painted in many eye-catching colors and patterns. 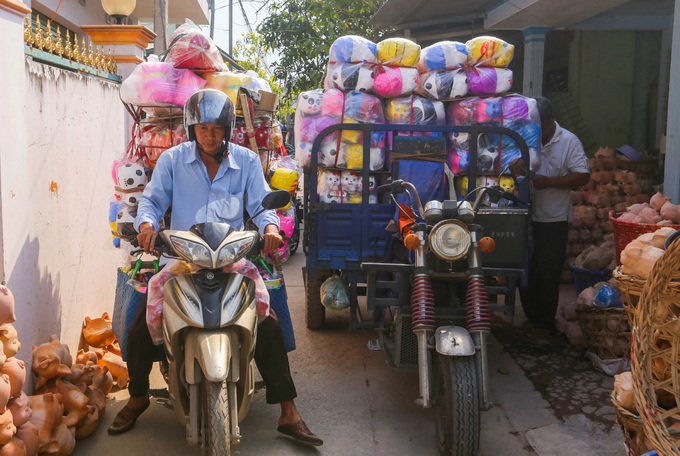 At this time, wholesale merchants are rushing back and forth between workshops in Lai Thieu Ward to get the piggy banks. Besides the main market in Ho Chi Minh City and southern provinces, these products are also exported to Laos and Cambodia.